Cao Cao (155 A.D. - 220 A.D.) was the governor of Wei Kingdom, which was the strongest one among the three kingdoms. The Huang-jin Rebellion made the East Han empire empire collapse. Immediately, many military forces came into being in different regions. Cao Cao was originally serving in the royal army to fight against the rebels. In 192, Cao Cao won a crucial battle against the Huang-jin rebels' army, through which he obtained a several tens of thousand army soldiers that surrendered and thus became a major military force. At that time, after the East Han empire collapsed, the Han Emperor was wandering here and there. In 195, Cao Cao started to act as the protector of the Han Dynasty emperor, which gave him the justification when he was warring against other military forces and extending his conquered area. Cao Cao never proclaimed himself emperor, but assumed a premier's position only. However, the scale of his palace and the configuration of his cabinet were already to the level of a emperor. Actually he was hijacking the last Han dynasty emperor and issuing orders in the name of the emperor. After Cao Cao died, his son Cao Pi proclaimed himself emperor. 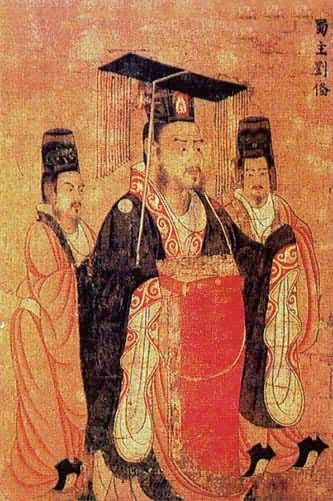 Cao Cao - governor of Wei Kingdom. After years of warring all over China, the agricultural system of the whole country was totally damaged and famine was already happening, which was the crisis that every military force was facing. Cao Cao took effective measures to restore agriculture production. On the one hand, he recruited flowing people to work on government owned farms to supply grains to the government and army. On the other hand, he took measures to support and encourage people to settle down and develop private farms. These efforts gained immediate effect and made his regime outstandingly strong. In 208, Cao Cao started to point his army to the south. Liu Biao, who was governing a big area in central south, died. His son Liu Cong surrendered to Cao Cao. At that time, Liu Bei was still very small and did not have a stable place to occupy. Then Cao Cao continued marching toward the south-east, Sun Quan's areas. However, this time, Cao Cao was not as luckily as before. His army that was all composed of north soldiers was not good at warring on boats. Additionally, Liu Bei and Sun Quan formed a very strong alliance. Cao Cao's army was beaten badly by the alliance in the famous Chibi Battle. The Chibi Battle formed the later balanced situation of the co-existing three kingdoms. Cao Cao was a very capable, smart, determined governor. He was good at distinguishing loyal persons and treated those loyal and capable persons very well. If he finds a person very righteous, trustable and courageous, he respects the person very much even if the person belongs to the enemy's camp. He was not kind though, he could kill a person if anyone blocked his decision. 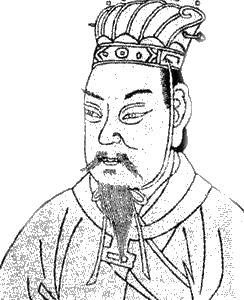 Cao Cao died in 220. And his son Cao Pi inherited his position and proclaimed himself emperor. The King of the Shu Kingdom Liu Bei (161 - 223) was a descendant of the Han Royal Family. However, his father died early. He was making a living by selling straw shoes. When the Huangjin Rebellion broke out, people of various counties were organizing voluntary army to suppress the rebels. In 184, Liu Bei involved himself in the battle suppressing the rebellions and got some achievements. Liu Bei - King of the Shu Kingdom. Liu Bei was a very kind person and was renowned for his virtue. He treated subordinates and people very kindly. He had two sworn brothers Guan Yu and Zhang Fei helping him. In that chaotic period after Han Dynasty collapsed, Liu Bei had the ambition to do something to stabilize the country. However, in early years of his life, he was not really successful. Among the three kingdoms, Liu Bei's regime was the weakest at the start. In his early days, Liu Bei was not occupying any area stably. He threw himself into the lap of Gong-sun Zan, Cao Cao, Yuan Shao and Liu Biao at different time. After Zhu-ge Liang joined Liu Bei, he advised Liu Bei to form an alliance with the Wu Kingdom to resist Cao Cao's invasion together. The Wu-shu alliance defeated Cao Cao totally in the famous Battle of Chi-bi. He became the governor of Jing Zhou county and married with the Wu Kingdom governor Sun Quan's younger sister. Gradually Liu Bei conquered a big part in the south-west part of China. Liu Bei proclaimed himself emperor of Shu region in 221 and took Chengdu as the capital city. The next year, his sworn brother Guan Yu was captured and killed by Sun Quan. Accordingly Liu Bei initiated a war against the Wu Kingdom, but he was defeated. He died of disease a year after. 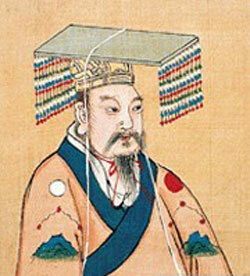 Sun Quan (182 A.D. - 252 A.D.) is the governor of the Wu Kingdom. Sun Quan started following his father Sun Jian and elder brother Sun Ce (pronounced as 'tser') in the military actions when he was fifteen. He was good at both martial arts and military strategic planning. He manifested the ability of being a general while young. He inherited the governor position from his elder brother Sun Ce at the age of nineteen. Sun Quan - King of the Wu Kingdom. Sun Quan was very good at finding the right persons and giving them the right positions. He put Lu Su and Zhou Yu at important positions. At the beginning of Cao Cao's invasion into his region, many subordinates suggested that they should surrender. However, Sun Quan listened to Zhou Yu and Lu Su's advice and decided to affiliate with Liu Bei to resist Cao Cao. The decision turned out to be right. The Wu-Shu alliance beat Cao Cao with a total success in the famous Chi-bi Battle. At that time, he was only 26 years old. Sun Quan's opponent Cao Cao had a famous comment on him, "If one has a son, one's son should be like Sun Zhong-mou. (Zhong-mou is Sun Quan's adult name. See Chapter 61 of "Romance of Three Kingdoms")." Sun Quan proclaimed himself emperor in 229. He governed south-east China for half a century and was in Emperor's position for 23 years. Go to top of page "Romance of Three Kingdoms - IV. The Three Kings"
Return from "Romance of Three Kingdoms - IV. The Three Kings" to "Foreigners in China" Home Page.